Luxury meets functionality in this custom built Cardel Wilshire executive home in the coveted village of FishHawk Preserve! This home has tons of upgrades from the moment you walk in! Notice the paver driveway, Tuscan stack stone accents, large corner lot & 4-car garage which all add to the exquisite curb appeal! Entering the home you will immediately fall in love with the rich tile flooring, volume ceilings and 8 inch baseboards throughout! Just imagine entertaining all of your loved ones in the grand dining room or gathered together in the family room that features built in entertainment center, surround sound while also open to the kitchen & lanai; this home is made for entertaining! The magnificent kitchen is to die for with Quartz countertops, Jenn-Air high-end stainless appliances, 42 inch cabinetry with uppers featuring crown molding plus a large eat in space for more casual meals! 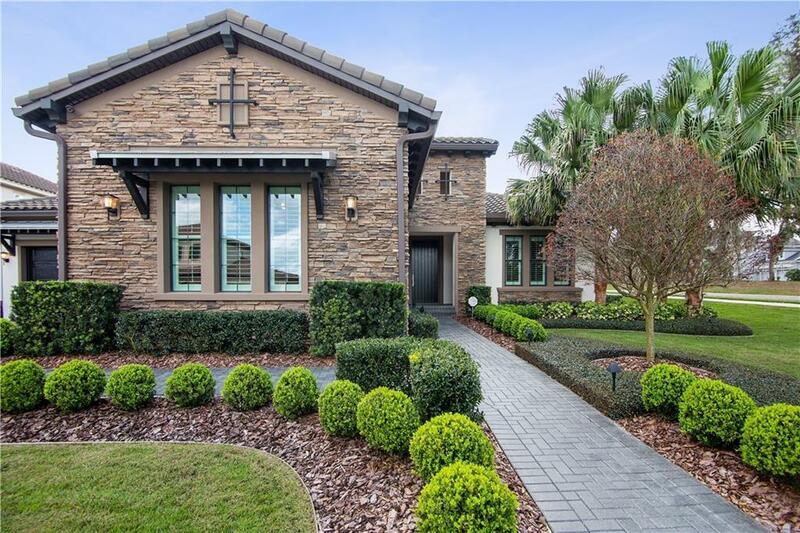 Master retreat boasts gorgeous details such as coffered ceiling, his & hers closets & master bath with dual vanities & oversized walk in shower that will make you swoon! Outside on the paver lanai you will absolutely love the extravagant pool with infinity edge spa! Three more spacious bedrooms are on the opposite side of the home, one of them with an en-suite; this would make a wonderful mother-in-law suite or guest retreat! Zoned for some of the greatest schools in Hillsborough County, this home is truly stunning & is move-in ready & waiting for you! Even the most discerning buyer will fall in love with this estate!